Every government is working with social media companies to control data sharing on the internet. There is a serious move on, which is being cheered on by media liars who pretend to be champions for the people. With the fake New Zealand shootings, they make a case for controlling the sharing of content on the internet. They set up a fake example, an actor, acting hatefully, and using the internet, to broadcast, fake violence. Then the cries from politicians and journalists calling for the introduction of laws to stop people sharing data freely on the internet. That is how they plan to control the internet. Everyone will be guilty until proven innocent by a screening process, which will eventually be automated. The EU is railroading copyright legislation for the same purpose, to justify the review of all newly updated material on a copyright bases. Under new law, social platforms will be required to use content recognition technologies to scan text, audio, photos/images, and video, for copyright infringement. Live shows are more problematic for the censure police. They have to be screened on the fly, and shutting down a show live, is bad publicity, they still do it though, I have witnessed it more than a few times. That's what the New Zealand incident was for. Youtube already updated their terms and conditions to say that if a youtube channel does not have a minimum of 1000 subscribers, the channel owner cannot livestream from a mobile phone. Youtube are the ones who control a person's feed, and they decide who will get huge numbers of subscribers, by promoting who they want. More updates to their terms and conditions will follow. They are only one example. All these people are in cahoots with government. They are they same people. Article 13 they call it......13 is the rebel number. It's my number, and I have a Friday, and a full moon to go with it. 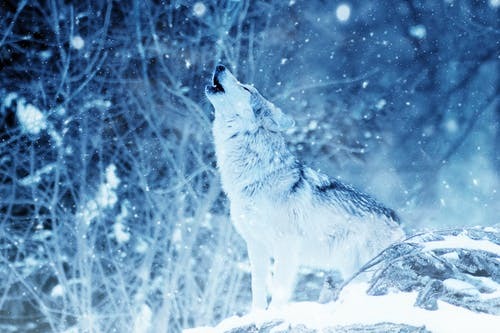 It's why I howl, and no one will stop me.